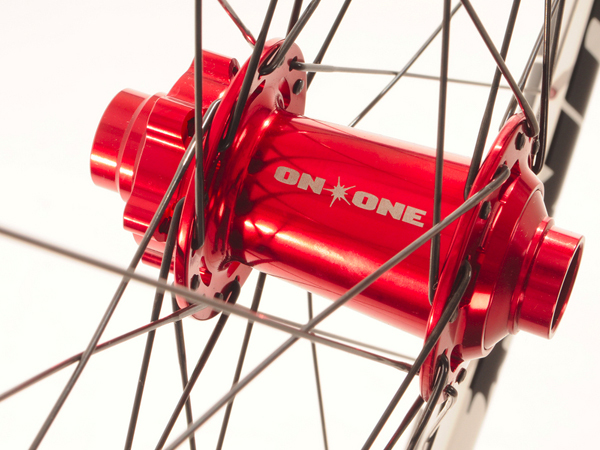 First up is our new On-One XC QR wheelset, available now in 29er, with the 26" version available next month. The hub takes a standard 9mm QR and employs Chosen's TBEA Innobike Award winning 'Full Engagement' design. Put simply 'Full Engagement' is a system where 3 pawl, 120T engagement ensures efficient power transfer through the wheel. Essentially with less room for idling the hub engages quicker with less friction, smoother rotation and increased strength. Available in pimp red anodised finish on a white rim, or nicely understated black on black. Gold and blue hubs should also arrive next month too if you really fancy blingin' up your bike! Intended use: 29er, cross country race, or trail riding where both wheels remain on the ground. 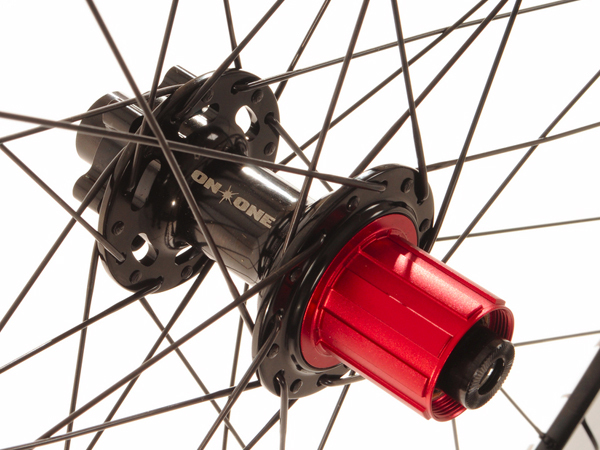 If your after something a little more burly, our new On-One MAX 32H wheelset might be your sort of thing. 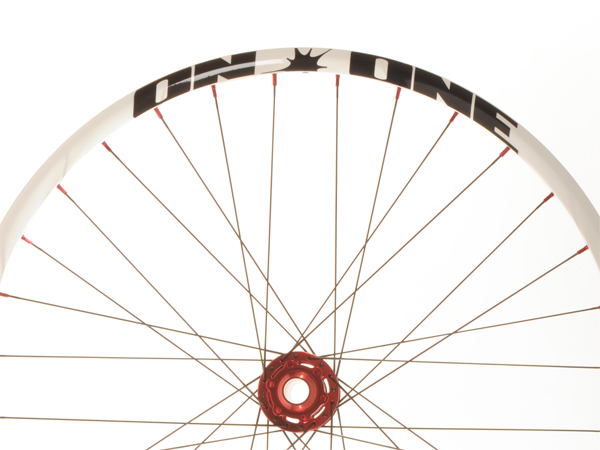 With the front hub designed around a robust 20mm bolt-through axle these wheels are intended to take one hell of a beating. This hub has another trick up its sleeve though, as it can be converted to 15mm bolt through and standard 9mm QR via supplied adapters. Available in 26" now, with a 29er version on its way. 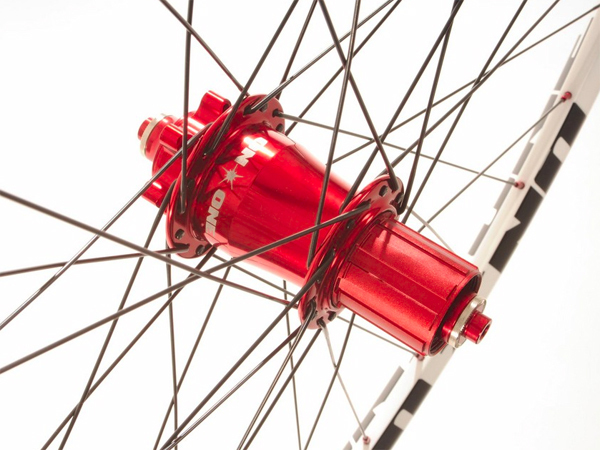 Once again these are available in red anodised finish on a white rim, or black hub on a black rim, with gold and blue hubs arriving next month. Intended use: Aggressive trail riding that throws up the odd jump or drop. 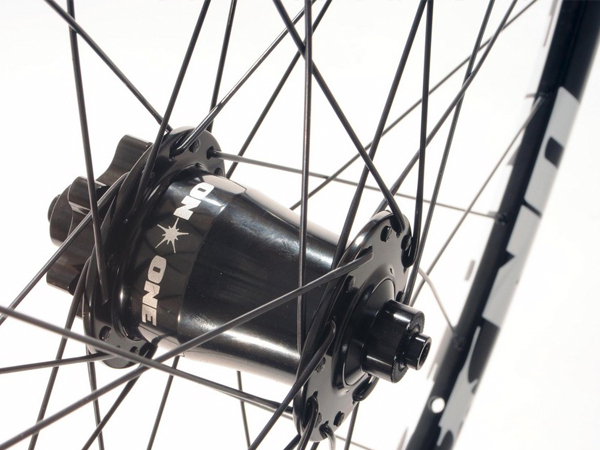 Click here for more on the On-One MAX 32H wheelset. You can also get these wheels along with our Carbon 456 frame and a RockShox Revelation RLT Ti bolt-through fork all for only £899 for a limited time only! Is there any update on the schedule for the carbon 29er rims/wheels? Hi Jonathan, it wouldn't really be fair to comment on the internals or reliability of our competitors products. I do know that these hubs are built to last however, I have a pair XC QR myself and I'm more than happy with them so far. Hi Alex, the issue is simply availability. Our supplies don't yet do a convertable hub that also has the fancy 3-pawl 120T engagement internals. 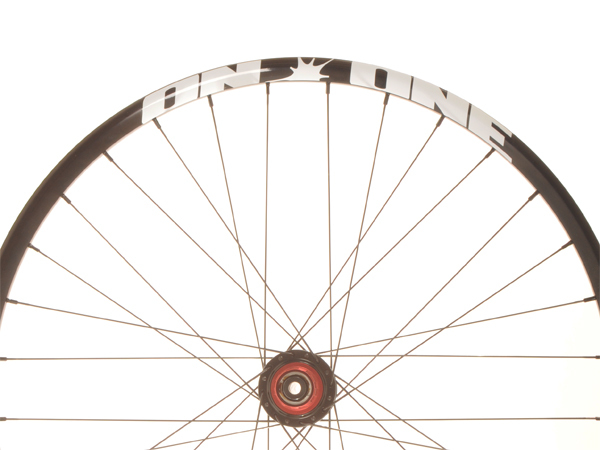 Also check out the weights listed on the product pages to see which wheelset is lighter! XC QR - 1825g combined, MAX 32H - 1677g combined. Okay, you'll have to factor in the weight of a bolt-through front axle, but even then there's barely anything in it! Why no 9mm/15mm convertable front hub on the lighter weighth wheels? 15mm makes a huge difference up front in terms of stiffness and is only marginally heavier. How about 142x12 option for the rear wheel (hub)? That would be nice if those words written here about 12mm TA swap-outs being in the works are still valid. Are those hubs similar internally to two other British brands, one with a theology based named and the other sounding like a high powered celebrity? If so, are these three pawl hubs more survivable than the old desin?